According to the International Association of Haunted Attractions (IAHA), haunted houses aren’t just for Halloween anymore. “There are over four dozen haunted attractions scattered across North America that are open all or most of the year,” says Bill Criscione, Vice President of the IAHA. Many of these haunted attractions are in tourist rich cities like Myrtle Beach, Wisconsin Dells, or Niagara Falls. 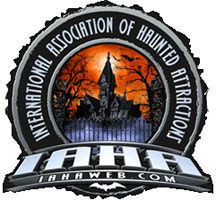 For a list of year-round haunted houses visit www.iahaweb.com.